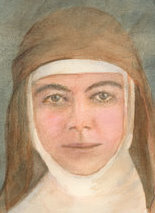 As I've mentioned, Blessed Mary MacKillop will be canonized on Sunday, October 17th. Salt + Light is proud to announce that our documentary Mary MacKillop: Australia’s First Saint will be airing on the Australian Christian Channel (via various forms of Subscription TV including Foxtel, Optus and Austar). Even if you’re not in Australia, you can watch this via live streaming on their website: www.acctv.com.au Saturday, October 16th at 2:30am ET/11:30pm PT and again at 11:30pm ET/8:30pm PT.